IOWA CITY, Iowa—ACT today announced an agreement to join forces with MGHL Consulting to use automated item generation (AIG) to accelerate its own test development process and help other organizations do the same. AIG is a technology that uses human-created item models to generate test questions using a series of computer programs. MGHL is headed by Drs. Mark J. Gierl and Hollis Lai, professors at the University of Alberta in Edmonton, Canada, who are pioneers in AIG. ACT and MGHL Consulting each bring their own unique capabilities to this new relationship, combining their respective strengths. 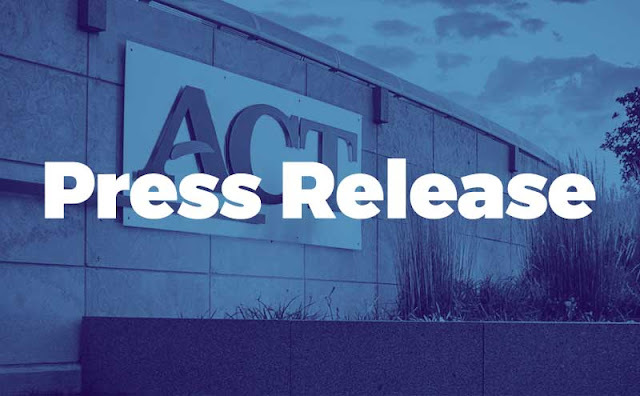 ACT has nearly six decades of experience in test development and research, making it a leader in college and career readiness assessment, while the leaders of MGHL have spent more than 10 years developing and implementing the AIG process. AIG is a proven operational technique that has been thoroughly assessed and verified through rigorous research by ACT and others. MGHL Consulting calls its AIG computer program “IGOR,” short for “Item GeneratOR.” IGOR represents the latest computer technology designed to accelerate the process to generate test questions. Instead of the standard process of crafting one test question at a time, ACT test developers will now develop “item models” which serve as inputs to IGOR to generate thousands of valid and individually unique test questions. Developing one item model can take test developers about the same amount of time as it does to develop a single test question under the current process. A well-constructed item model can generate items for use across several grades and even multiple languages and cultures. Test questions generated by AIG will still go through the same review, research, and quality control processes as do current questions before making it onto an actual test. In addition to generating items for its own assessments, ACT expects to offer AIG as a service to other organizations in need of high-quality test items at affordable prices as they move to computer-adaptive testing and ”anytime, anywhere” delivery models. ACT, which has tested AIG over the past three years, will scale up the use of the new AIG program immediately. MGHL Consulting is a University of Alberta technology spin-off company that was incorporated in 2013. The company works closely with government agencies, testing companies, and academic publishers to implement item generation principles into test development practices.